2. 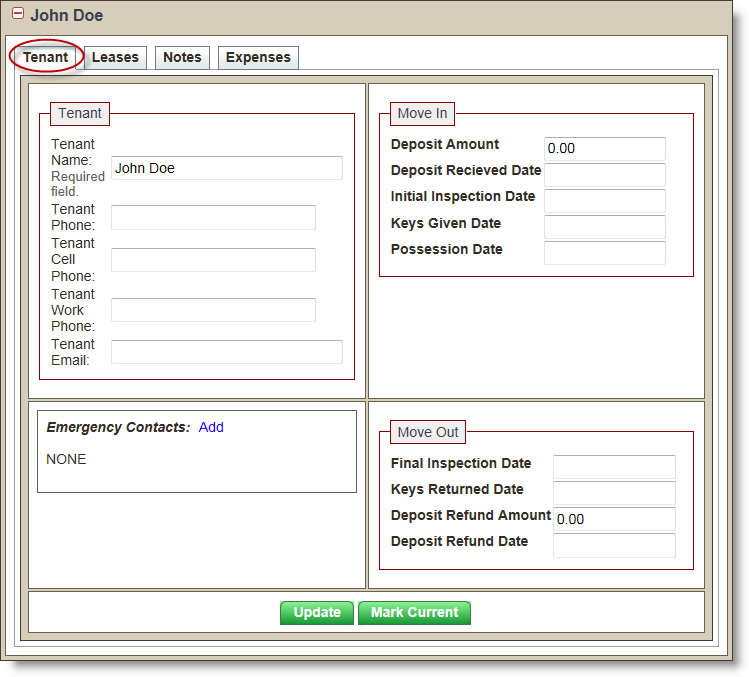 Click the + adjacent to the tenant name to view the tenant information. 3. If needed, click the Tenant sub tab, shown circled below. 4. Enter any desired information. 5. Click the green Update button at the bottom of the screen. For information on use of the Mark Current button, click here.